The rise of industrial civilization over the last few hundred years has been accompanied by the extinction of a truly vast number of different animals (as well as plant, fungi, etc) species. While going over all such extinctions would be an impossible thing to do in a single article, it’s probably worth highlighting some of the extinctions here in order to bring more eyes to the issue. Owing to protocol, the Baiji River Dolphin (Lipotes vexillifer) has yet to actually be declared as being extinct — but, for all intents and purposes, the animal species is now long gone. 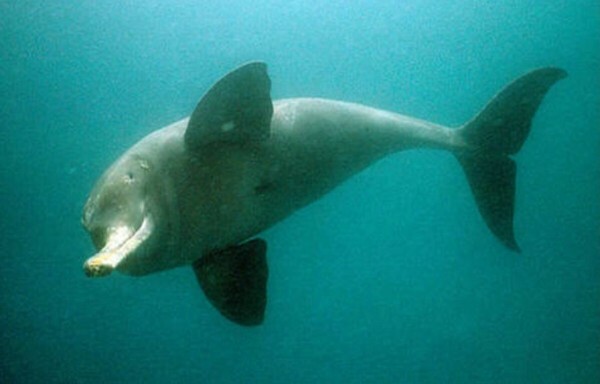 The Baiji River Dolphin was a species of freshwater River dolphin native only to the Yangtze River in China. The animal has been “functionally extinct” since at least 2006, when a scientific population survey turned up no survivors. The species was once fairly prevalent, with up to 6000 individuals thought to live in the river system during the 1950s. Owing to industrialization, commercial fishing, and hydroelectric dams, though, this number fell dramatically in only a few decades. Leaving only a few hundred individuals alive by the 1980s. The last time one was seen was in 2004, though there was a possible sighting in 2007. Considering that the species (and/or closely related ones) has been around for literally tens of millions of years, the rapid destruction of population numbers due to industrial activity represents quite a remarkable event. It really drives home the point of just how environmentally and ecologically destructive modern industrial activity has been. And, for that matter, will continue to be as the arc that began several centuries ago continues to complete itself — and the last industrially useful (economically speaking) fuels become increasingly scarce, bringing about the intensifying exploitation of still remaining resources. The species was a fairly large one for a dolphin — measuring between 7.5-9 feet in length, and weighing up to 500 lbs. Lifespan in the wild was known to exceed 24 years. The Baiji River Dolphin could reach swimming speeds of up 37 miles per hour. 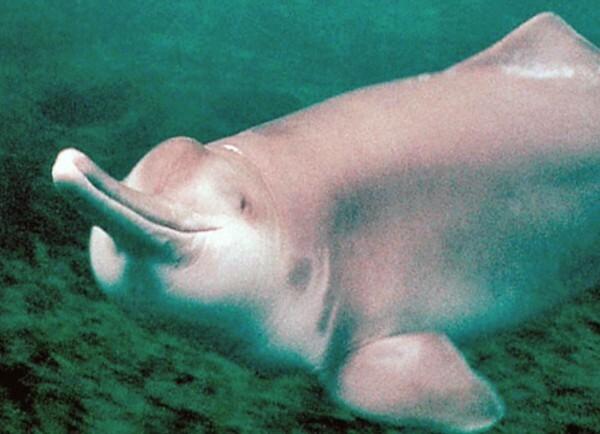 Traditional stories of the region described the Baiji River dolphin as the reincarnation of a princess who had been drowned by her family for refusing to marry a man that she did not love. 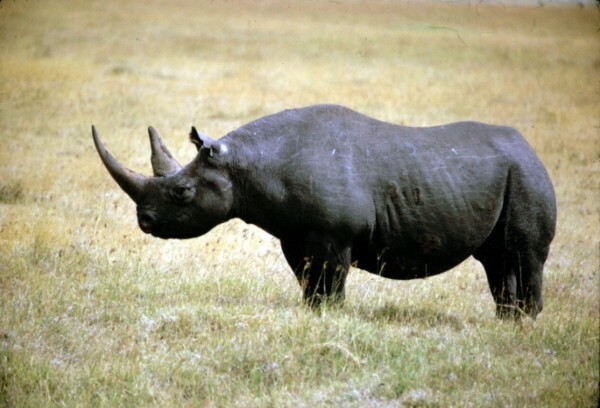 The Western Black Rhinoceros was only just declared extinct by the IUCN in 2011. The species, which was quite genetically distinct from other rhino species, was once widespread throughout the savannas of sub-Saharan Africa. Hunting/poaching put an end to that though — and the population declined rapidly throughout the 20th century, from over a million individuals at the beginning of the century to…. zero, now. Considering that the species emerged 7-8 million years ago, it had been doing pretty well — not well enough to deal with overexploitation by its competitors home sapiens, though, apparently. It’s probably worth making a reminder here that various rhinoceroses species (the unicorn, elasmotherium; woolly rhinos; etc) were until recent human activity found throughout much of the world. While it’s easy to condemn people living in Africa now for the decline of the species, considering the fact that Europe and Northern Asia’s rhinos are long gone, no one is exempt from blame there. Megafauna extinctions have accompanied people more or less wherever they’ve lived. On that note, those who have always wondered why lions figure so prominently in European symbolism should probably recall the fact that the European lion only just went extinct during Roman times — the species, at one point, had been found all throughout Europe. The final push over the cliff for the species appears to have been the high demand for lion pelts during the late roman period. 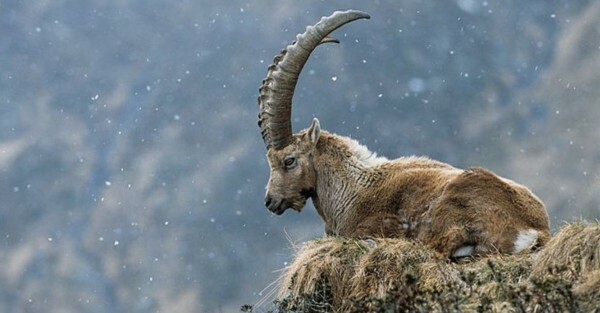 The Pyrenean Ibex was a species of Ibex native to the Iberian Peninsula in Europe that went extinct in 2000. The species had been quite common in Southern Europe up until the 19th century. The causes of extinction are though to be over hunting and the loss of habitat to livestock. It’s possible that diseases introduced by domesticated animals played a part as well though. 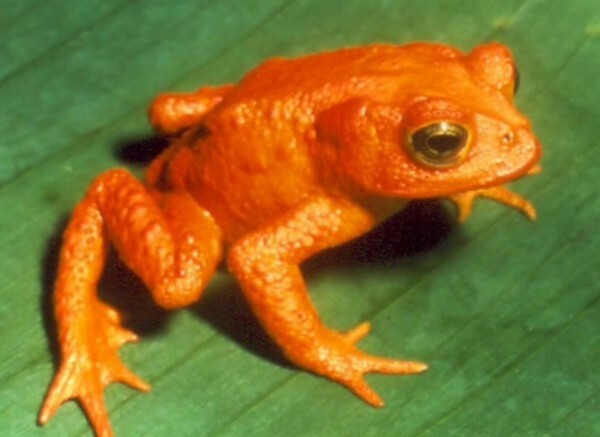 The Golden Toad was a small, sort of golden-colored toad that was native to Costa Rica. It was only “discovered” just in 1966, before then being declared extinct in by the IUCN in 2004, after a few decades of essentially no sightings. 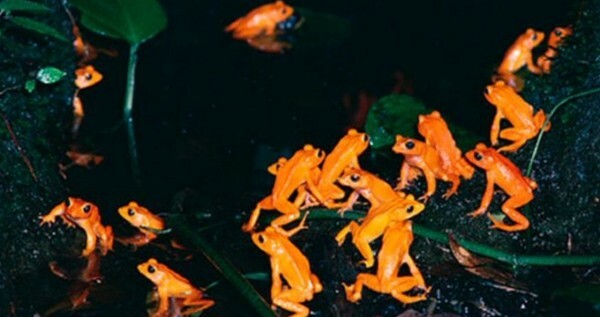 As most toads in the same family as the Golden Toad have lifespans at least as long as 12 years, though, perhaps there are still some hiding out somewhere? Factors in the toad’s presumed extinction include: restricted range, global warming, chytridiomycosis, and airborne pollution. 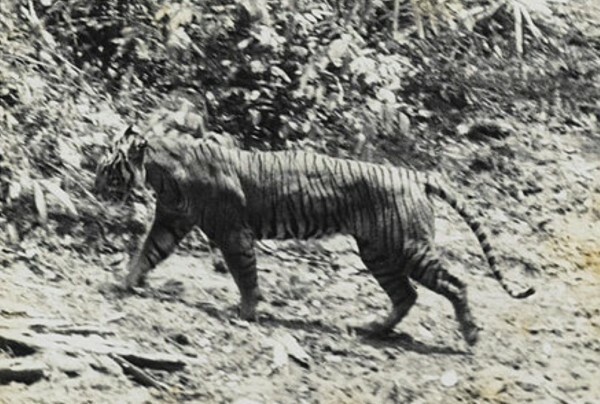 The Javan Tiger was a subspecies of tiger that was found only on the island of Java in Indonesia. It’s thought to have gone extinct in the middle of the 1979s — largely as the result of conflict with people (hunting, poisoning due to threats to livestock, and decreased prey) and deforestation + habitat loss (via expanding agriculture and human settlements). Worth noting, despite the fact that there hasn’t been a reliable sighting of the species in decades, rumors and supposed sightings persist — and, interestingly, these sighting still apparently trigger some panic in the people in the region. There’s something about they that sums it all up doesn’t it? Tens of millions of people, covering the land from shore to shore, trying to control nearly everything, worked into a frenzy by the thought of one possible “dangerous” tiger being out there. That’s not to say that tigers aren’t dangerous, of course they are, they do eat people occasionally, but you’d hope that the scale of the threat would match with the scale of the response wouldn’t you? 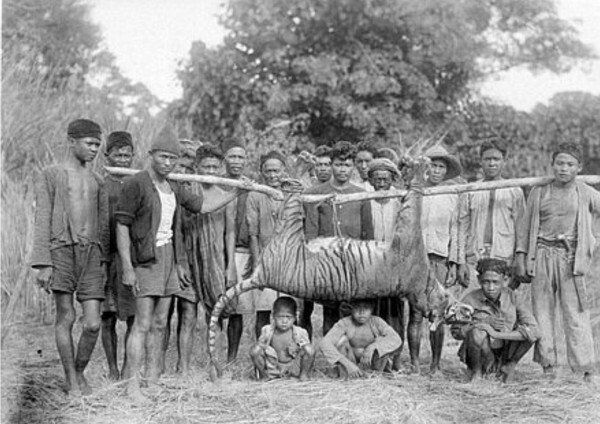 Did people really need to kill all the Javan tigers off, and take all of the tiger’s land/habitat from it? (For more, see the 10 Extinct Animals Of The Last 100 Years List).